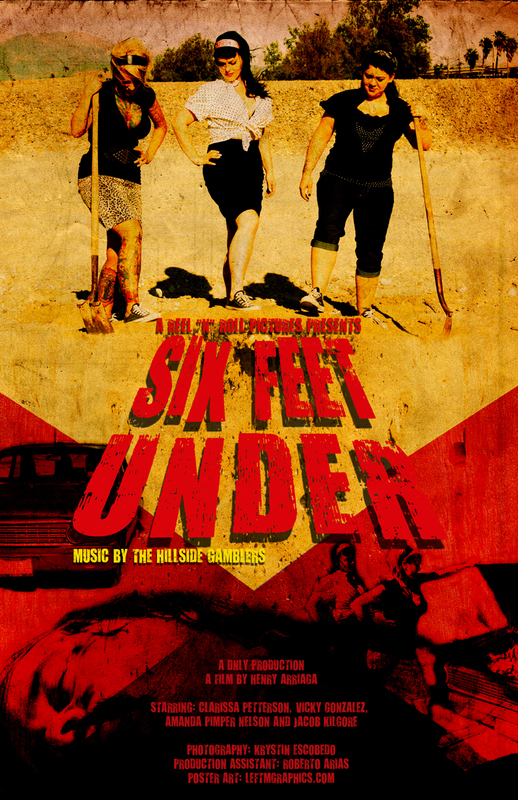 Architects + Heroes Records Resident Graphic Designer and Art Director, Leftm, designed a promo poster for The Hillside Gamblers advertising their latest single “Six Feet Under”. The Hillside Gamblers are are a Rock & Roll band out of El Paso, TX whose influences range from artists such as Johnny Cash, Stray Cats, Brian Setzer, Reverend Horton Heat, Howlin’ Wolf, Ray Charles, Stevie Ray and Jimmie Vaughan, Muddy Waters, Albert Collins & The Rolling Stones. The Gamblers are ready to take the music scene and turn it upside down with their own brand of fuel driven, Soul shaking, Good Old Rock and Roll. Be sure to check their interview tomorrow night at KLAQ.COM with Rick Mardi Gras between the hours of 8pm – 12am. Here’s the video for Six Feet Under directed by Henry Arriaga. ← DJ Riz Maslen (Neotropic) at Litro Live! Subscribe to A+H to get the latest info.